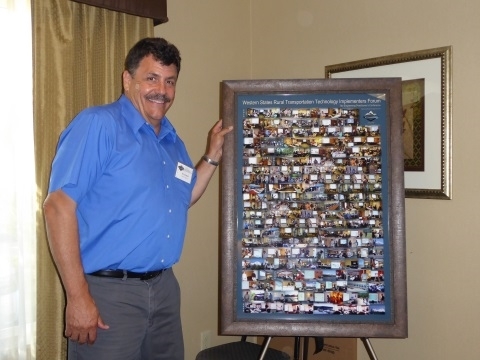 The Western States Rural Transportation Technology Implementers Forum provides an opportunity for field engineers, maintenance personnel and technicians to share ideas and discuss successes and failures in implementing rural ITS projects. The Forum encourages dialogue at a technical level so participants get a thorough understanding of an ITS project and its applicability to their own situations in rural, western states. Transparency and trust are cultivated in the small group setting. Presenters delve into how solutions were developed, focusing on applications that have been deployed in the field and are being used in live traffic situations. Technical presentations are planned for one to two hours each, ensuring that this level of detail may be presented and understood. Attendance is limited and extended time is allocated to facilitate and encourage detailed technical discussions. Presenters will discuss not only success stories, but also about failures and problems, so participants can learn about what does and doesn't work and why. The concept for the Western States Forum originated through the rural California/Oregon Advanced Transportation Systems (COATS) partnership. This partnership, initiated in 1998 by the California and Oregon Departments of Transportation with support from the Western Transportation Institute at Montana State University, has sought to advance the implementation of intelligent transportation systems (ITS) to meet transportation challenges in rural areas. Over the last decade, the COATS partnership has increasingly focused on technology transfer and the Forum has developed and grown with this purpose. For more details, see the WSRTTIF Fact Sheet. To provide a collaborative mechanism to leverage research activities in a coordinated manner to respond to rural transportation issues among western states related to technology, operations and safety. The Western States Forum continues with the support of the Western States Rural Transportation Consortium. To read more about the Consortium and its activities, please visit www.westernstates.org. In 2012, the Western States Forum was recognized with a Best of Rural ITS Award at the annual National Rural ITS Conference. The Forum won for Best New Innovative Product, Service or Application. 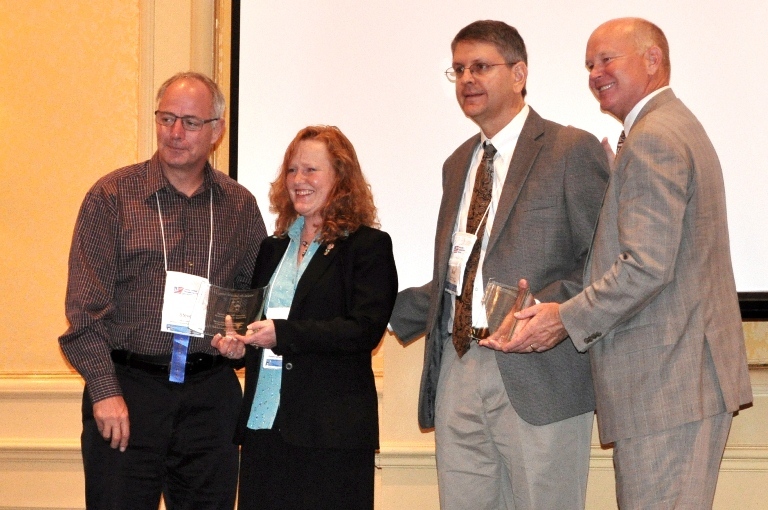 Below, Leann Koon and Sean Campbell accept the 2012 Best of Rural ITS Award from Steve Albert (left), Rural SIG Chair, and Scott Belcher (right), ITS America President. Forum Steering Committee members Sean Campbell and Ian Turnbull were interviewed by Bernie Wagenblast and the Transportation Communications Newsletter. Sean and Ian discussed the purpose and goals of the Western States Forum and the impact it has had on attendees over the years. They also gave a quick overview of the technical content to be presented at the upcoming Forum. The interview was included in the Intelligent Transportation section of the May 20th, 2013, edition of the Transportation Communications Newsletter. You can listen to the interview here: http://shouts.at/LzE. You can also download the audio file here. There are numerous examples of ways in which the Forum has helped participants with implementation of ITS technology. Read more about how technology presented at the Forum has been implemented around the Western States region. The Western States Forum is organized and directed by a four-member Steering Committee. Ian Turnbull, one of the founders of the Forum and a Steering Committee member since 2006, retired in the spring of 2017. Ian’s leadership and vision have been crucial to the continued success of the Forum. Additionally, under his leadership, Caltrans District 2 has hosted the Forum since its inception.